The Minister of Communication, Adebayo Shittu, on Wednesday updated President Muhammadu Buhari on the approved procurement of two new satellites from China at the cost of $550 million. Speaking to State House correspondents after a closed door meeting with the president in the Presidential Villa, Abuja, Mr. Shittu said the China EXIM bank had agreed to pay the entire $550 million for the procurement of the satellites. The minister explained that the initial agreement was that the China EXIM bank would provide 85 per cent of the total cost ($550 million) while Nigeria would pay the remaining 15 per cent as counterpart funding for the projects. He, however, stated that as Nigeria could not be able to meet her obligation in paying the counterpart funding, the agreement was renegotiated with the China EXIM bank and the manufacture of the satellites, the China Great Walls. “I’m in the Presidency to see Mr. President and to brief him on three major issues. “One, NICOMSAT, which is one of our agencies where we hope to procure two new satellites from China. “Initially the agreement was that they will provide the cost of the two satellites, $550 million minus 15 per cent which is the counterpart funding. “Because we could not afford this 15 percent, we have renegotiated with the China EXIM Bank and the China Great Walls who are the manufacturers and they have happily agreed to pay the entire $550 million to procure two new satellites,’’ he said. 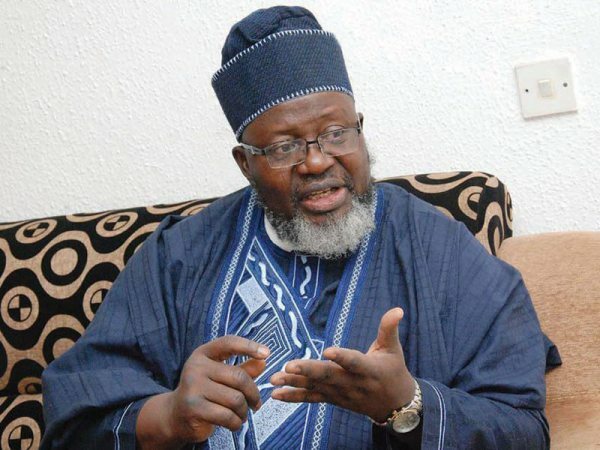 The minister stated that the new satellites would ensure that the Nigerian satellite company (NICOMSAT) would conquer the entire African continent in regard to the provision of satellite communication services. He said that the Chinese had appreciated the potential market that existed in the satellite business in Nigeria and the African continent. “”This is a very big business opportunity and I am sure that the Chinese appreciate the potential market which is so vast and that is why they have agreed that even without our ability to contribute 15 per cent they are prepared to pay the entire sum of $550 million for the procurement of the two new satellites for Nigeria,’’ he added. Mr. Shittu revealed that the production of the satellites would commence immediately the final agreements were signed. He said: “It takes two years to produce because it is when we sign the papers they will start production. He added that Nigeria had nothing to lose because the country would not put anything into the project in terms of financial resources. “The president was excited and was not surprised because the Chinese are not just going to market our satellite to the entire African continent but also perhaps by legislation insists that all Nigerian entities must patronize the Nigerian satellite company rather than going to Israel, UK, US for satellite services. “The major issue is not about employment but by providing satellite services to all companies which require it. “Currently most Nigerian companies and even Nigerian government establishments patronize foreign satellite companies. So the first thing is that we want to make profit, we want to capture the local market and we also want to capture the African market,’’ he added. The Minister also said he informed the President that he had been appointed as national chairman of the board of trustees of Muhammadu Buhari/Osinbajo Dynamic Support Group. Mr. Shittu, who described President Buhari as “Saviour’’ of Nigerians, said the South-west zonal office of the campaign organisation of Buhari-Osinbajo would be inaugurated on January 20. “Every day since he came into office all his activities are geared towards letting Nigeria know that they have a saviour, a rescuer, somebody who is committed to providing relief for Nigerians in all respects. “These include fighting corruption, insurgency; whether in the North East or the Niger Delta; in the area of repairing the economy and providing jobs and providing social stability in the society. The minister, who disclosed that President Buhari was yet to indicate interest on whether he will seek re-election in 2019, said his ardent supporters would continue to pressure him to seek re-election to enable him complete his good works to Nigerians. He added: “It goes without saying I mean if you have a child who goes to primary school does well, proceeds to secondary school does well, and you keep asking is he going to university? “By the grace of God, we his ardent supporters who appreciate his worth on behalf of millions of Nigerians, would urge him to re-contest. Politicians! They will never change.